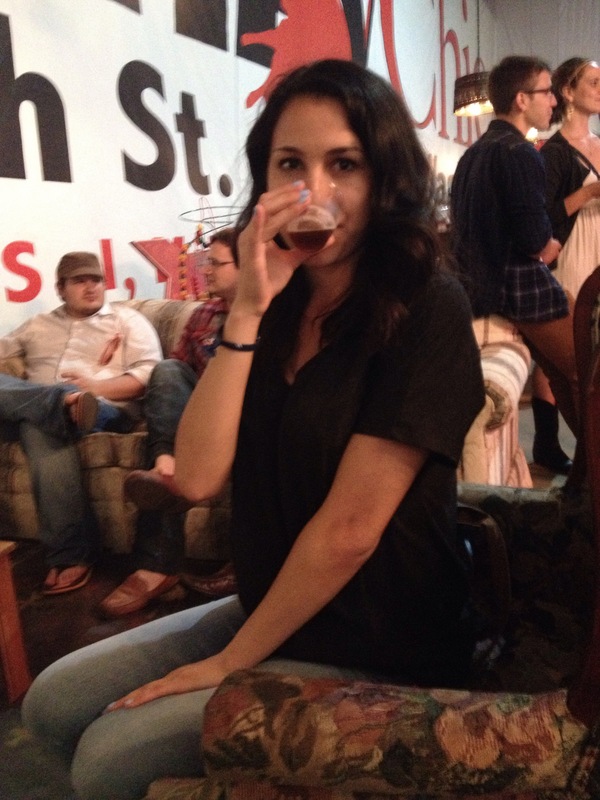 Living on the coast of Central California I developed a strong affinity towards craft beers. I’ll pass on Bud, Coors, Heineken etc. A good craft IPA makes my day. 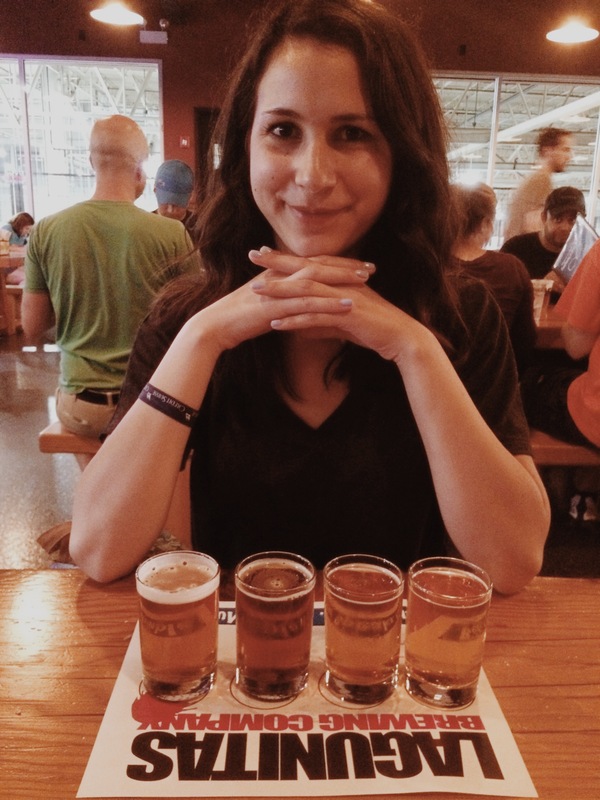 When I found myself traveling in Chicago I had to stop by one of my favorite craft breweries; Lagunitas for their tasting tour and Taproom. We took the metro out of the scenic Lakeview district of Chicago and into the industrial bodega outskirts of the city. Walking from the stop to the brewery, we weren’t sure what to expect as pit bulls barked at us from behind their chain link fences and fruit sellers beckoned us to their stands. However, when we arrived at the massive concrete building and walked inside we knew that the experience was going to be magical. The hallway into the brewery was dim and lit by funky swirling projections akin to diving into a lava lamp. “Come with me, and you’ll be in a world of pure imagination…” the Charlie and the Chocolate Factory tune played on speakers somewhere making us feel as special as if we had found a golden ticket. We grabbed a quick Lagunitas beer in the Taproom before the tour and then headed to “Adult Daycare” – a huge room filled with cozy vintage furniture, a giant Jenga game, pinball machine, arcade games, and of course, beer. The room made you feel like you were at the best garage party ever. Every so often the Lagunitas staff would bring us a new refreshment to taste while telling the backstory and the ingredients of the beer. After about 5 or 6 tasters the tour embarked to the factory where we learned a little more about the Lagunitas company, it’s wild history, and infamous flirtation with the FBI. The tour was quick and fun highlighting the uniqueness of Lagunitas without dragging on through the details of the brewing process. The tour ended at the stylish Lagunitas Taproom where we now felt compelled to try all the rest of the delicious beers that weren’t featured on the tasting tour. As a local live blues band played, I ordered a flight of 5 tasters which turned out to be a delicious decision. We munched on peanuts and pretzels and sat at the picnic style tables sipping our beer and enjoying the band’s amazing harmonica and raspy vocals. The whole experience is definitely one of Chicago’s best little secrets, and the staff make you feel like you’re just hanging out with friends. 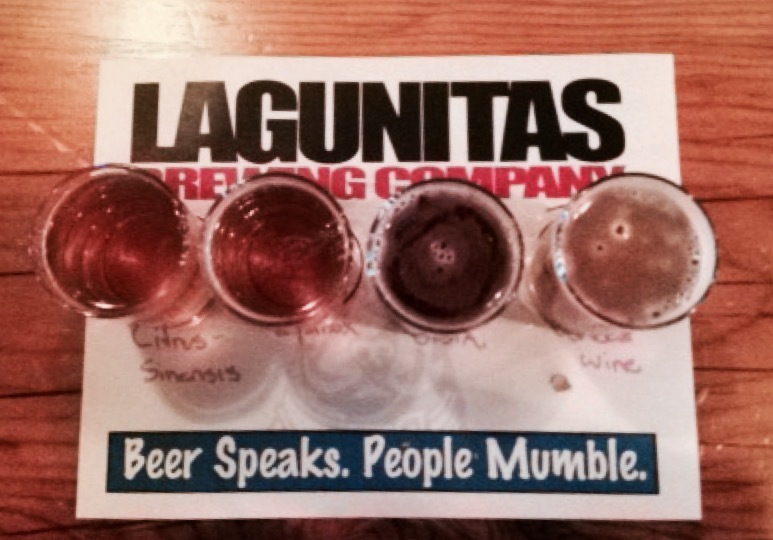 If you’re a traveler who likes craft beer Lagunitas brewery is a must visit in Chicago. 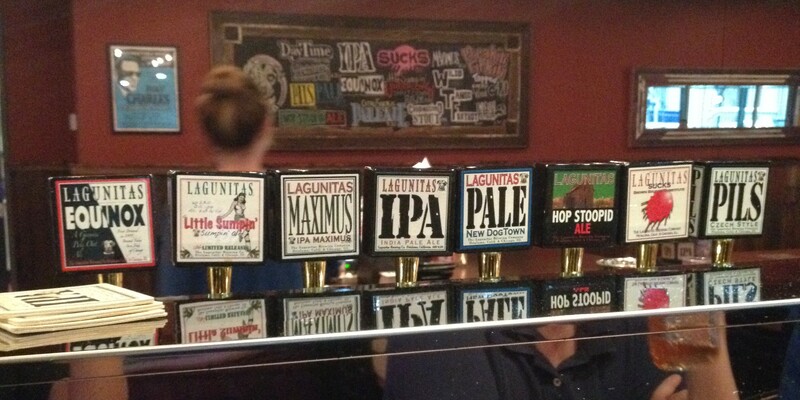 Visit Lagunitas Chicago Brewery Tours and Taproom Website for their free tour hours and location.